If you’re happy with children attending your wedding then you’ll probably want to include them as much as possible on your big day. 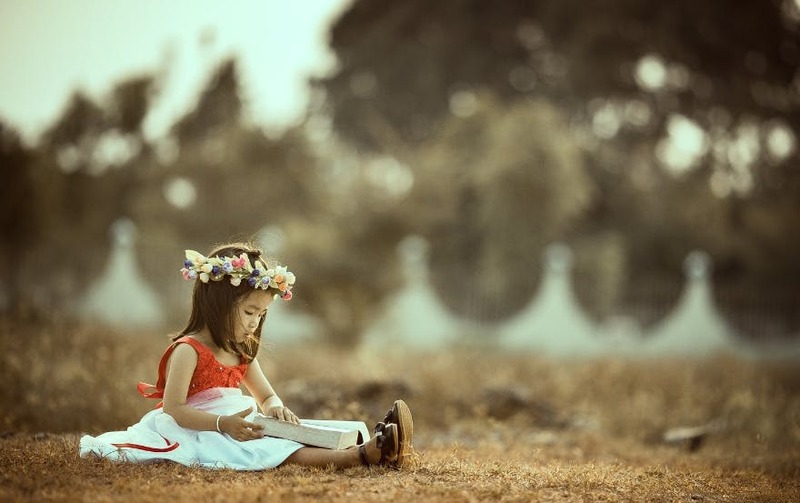 There are many ways that you can incorporate them into your ceremony, but nothing is as sweet as a little one reciting one of your favourite readings. That’s why we’ve rounded up the best wedding readings for young children, older children and even ones that the adults will enjoy. If you want to involve more children in your wedding day, then check out our edit of flower girls, ring bearers and child attendants. 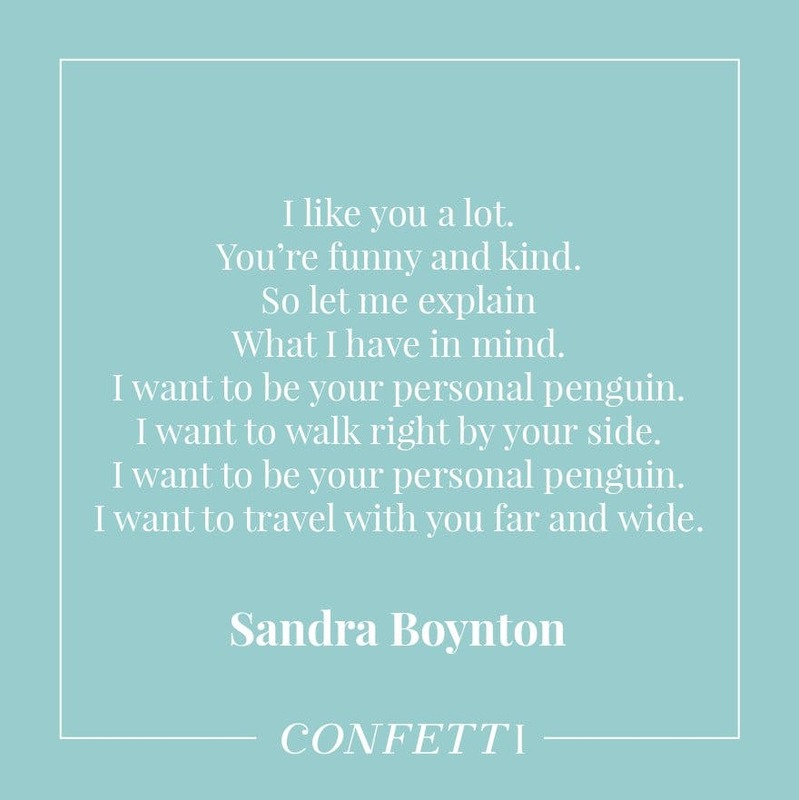 This lovely little extract from the book ‘Your Personal Penguin’ by Sandra Boynton is a great passage for children to recite at a wedding. It’s a simple extract that is the perfect length for a young child to read. 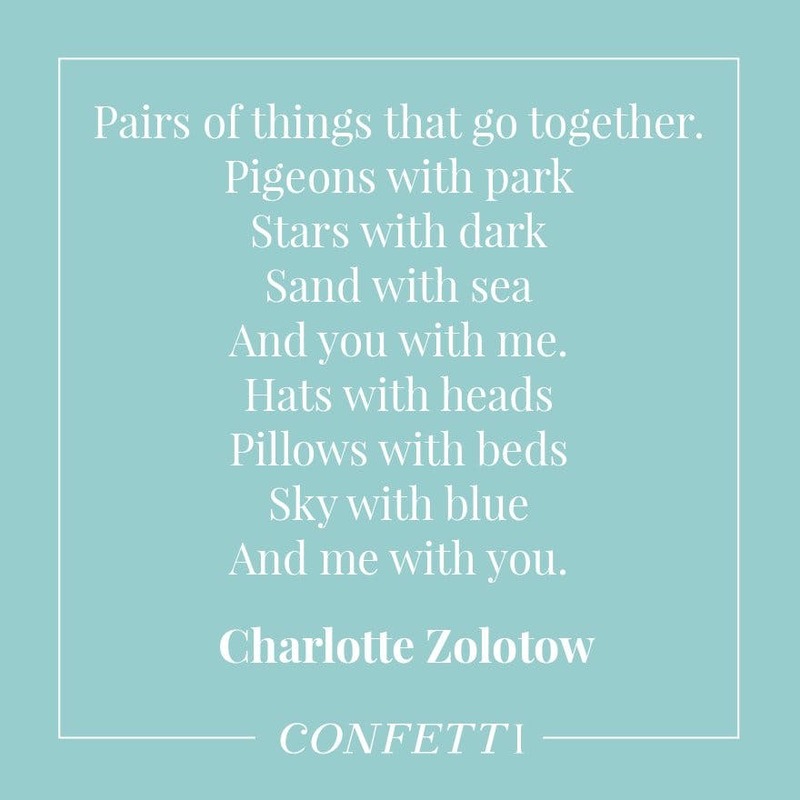 ‘Some Things Go Together’ by Charlotte Zolotow is a fun and quirky poem that will translate perfectly into an adorable wedding reading for a child. Short and sweet, this will be a lovely reading to hear on your special day. Do you love the idea of poetry during your ceremony? Then check out our 11 beautiful wedding poems. If you want an excuse to incorporate a little Disney into your wedding ceremony, then this is it. 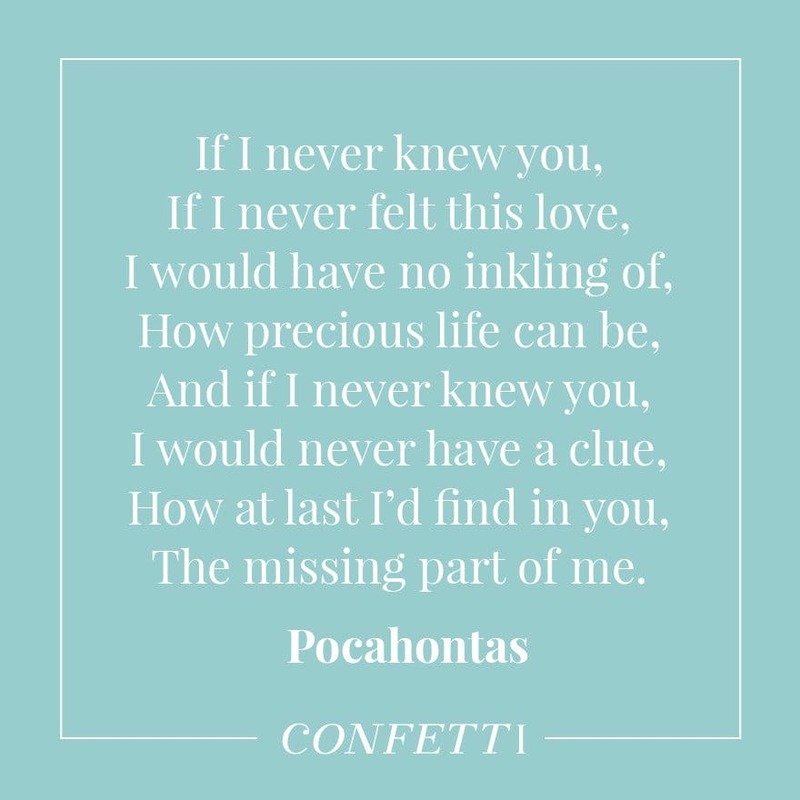 This beautiful extract from Pocahontas is a great wedding reading for children and it will be appreciated by both children and adults alike. If you love all things Disney, then take a look at this real Disney inspired wedding. 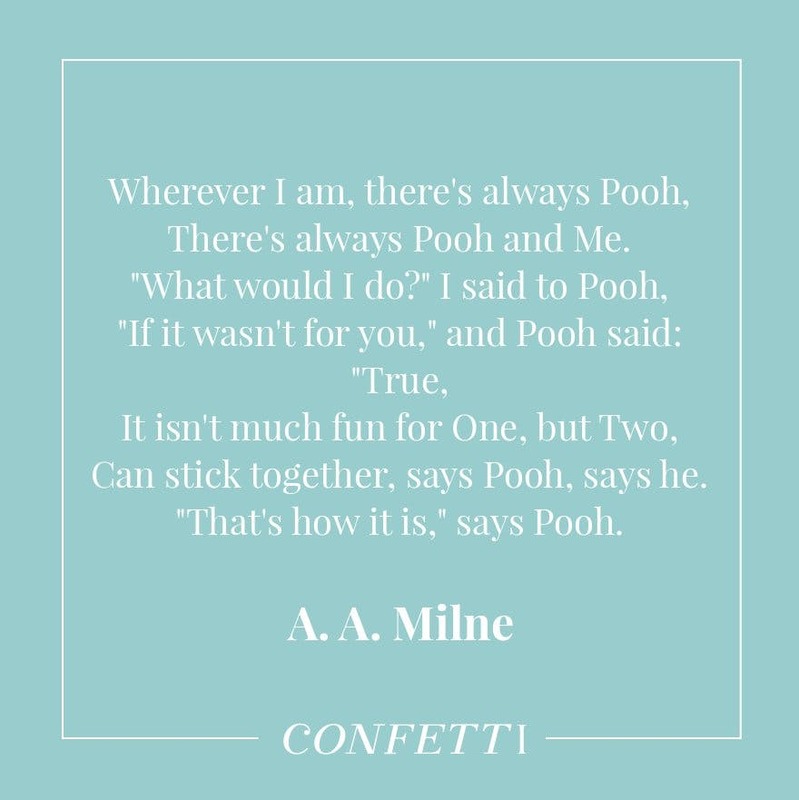 This Winnie The Pooh passage is a popular wedding reading for children thanks to its touching portrayal of friendship. This heart-warming reading will be a lovely addition to your ceremony and again, it’s the perfect length for a young child to read. 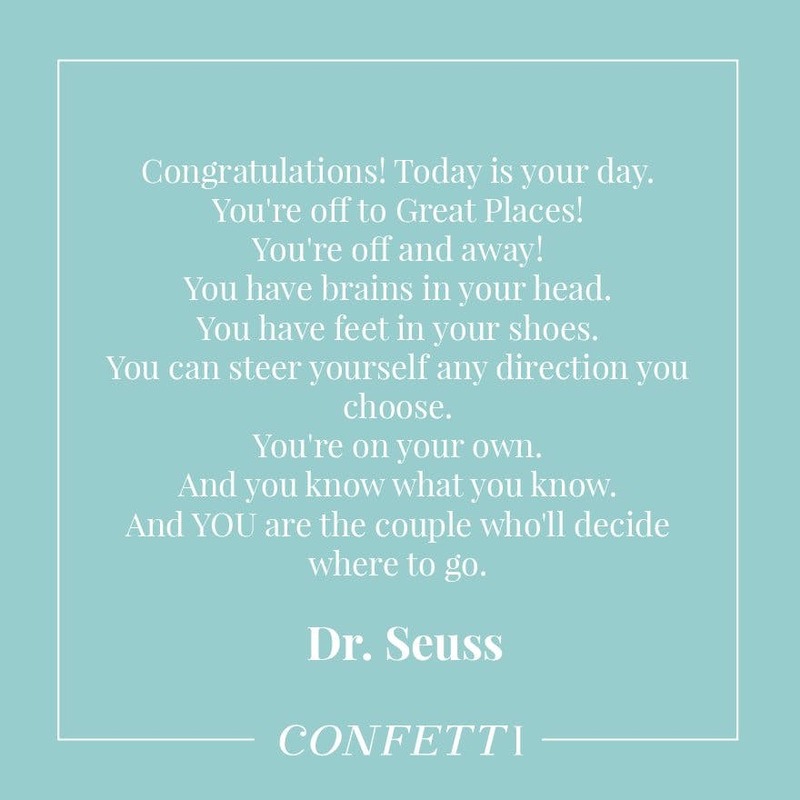 Who said Dr Seuss isn’t appropriate at a wedding? This extract from the poem ‘Oh, the Places You’ll Go,’ is a perfect reading to have at your wedding and it promises not to leave a dry eye in the house. If you loved this extract read the full version here. 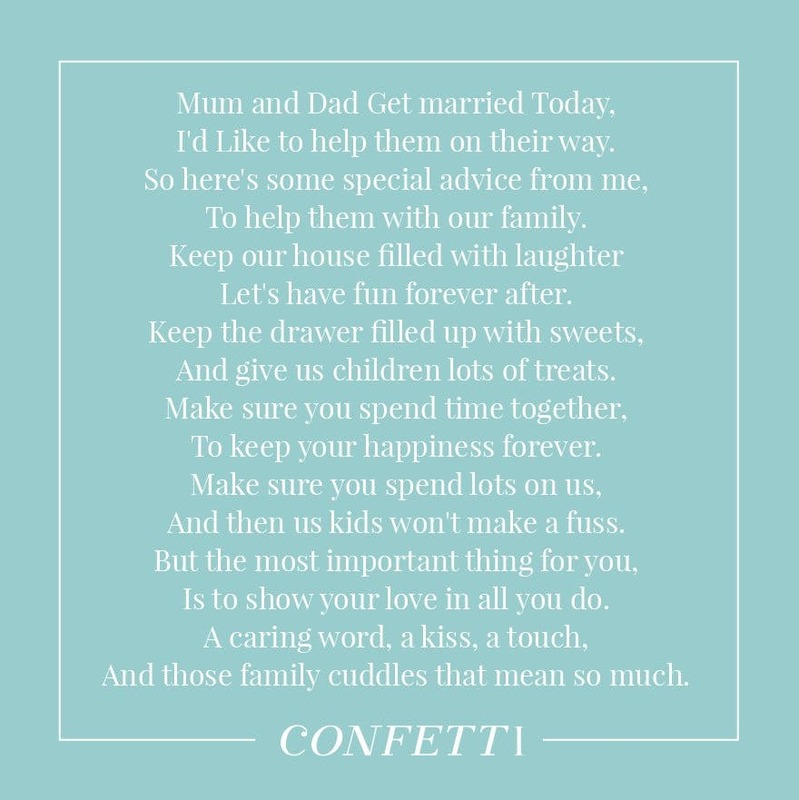 If you and your partner already have a child, then this poem is a great choice for them to read on your wedding day. Emotional and funny, this poem will tug on everyone’s heartstrings. I’d Like to help them on their way. To help them with our family. Let’s have fun forever after. And give us children lots of treats. To keep your happiness forever. And then us kids won’t make a fuss. Is to show your love in all you do. And those family cuddles that mean so much. Don’t forget to tell your bridesmaids their on the day duties before the ceremony. The innocence and simplicity of this reading are similar to that of a child’s nature and we think that this reading is one of the most fitting for them to read on your wedding day. Not to mention how thought-provoking it is too. 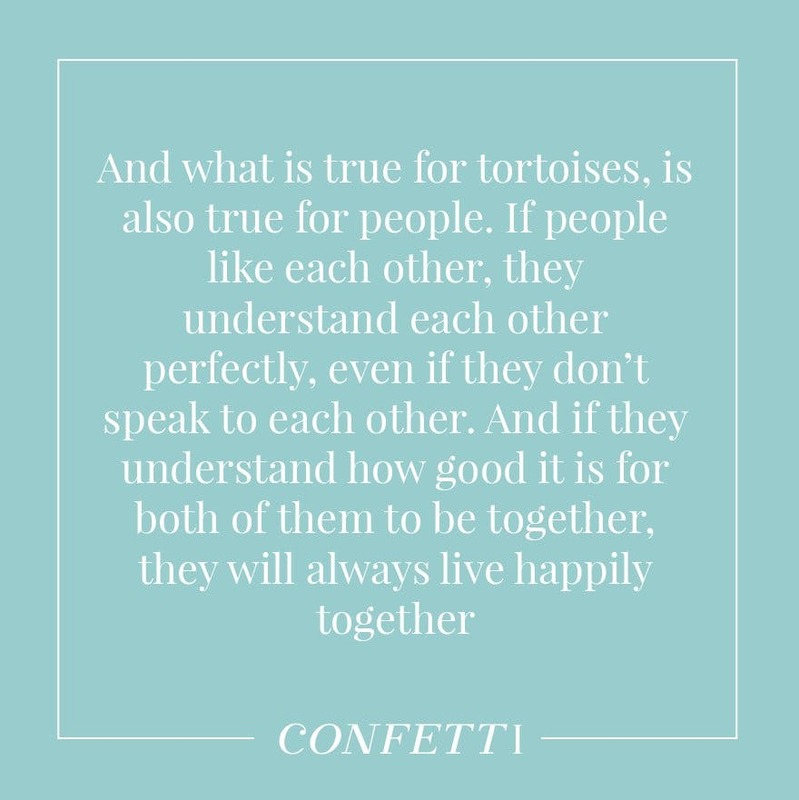 And what is true for tortoises, is also true for people. even if they don’t’ speak to each other. they will always live happily together. Remember children need a lot of attention so make sure you plan lots of fun ways to keep them entertained. If you need some ideas, check out our edit of how to entertain children at weddings. Wedding Sand Ceremony: What is it?